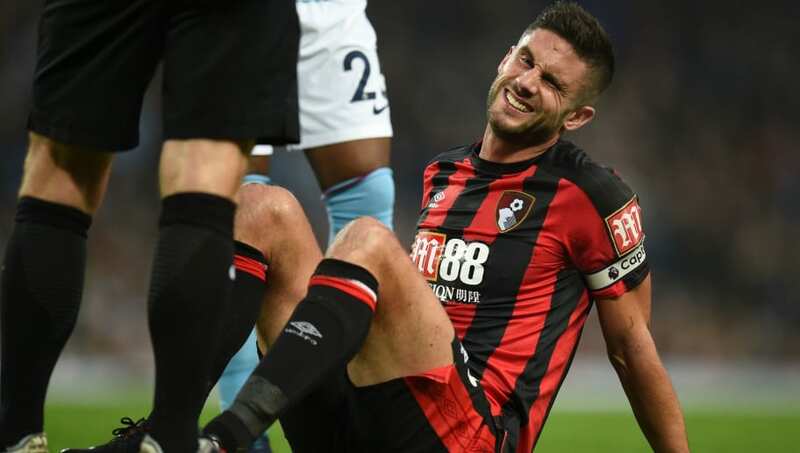 ​Bournemouth have been dealt a huge injury blow as vice-captain Andrew Surman has sustained a potential season-ending injury in training. The Cherries have already had to adjust to life without club captain Simon Francis, whose season was ended with a knee injury in December, and now have lost another leadership figure in midfielder Surman with a calf strain. This also leaves Eddie Howe short of midfield options, with Lewis Cook and Dan Gosling in the treatment room, and he has admitted this latest injury is a big loss for his side. "He pulled a calf in training which was a real blow for us because it was an innocuous looking thing that happened," said Howe, speaking to the Daily Echo as quoted by ​VitalFootball.co.uk. "He just planted his leg backwards and pulled his calf. The rest of the season could be in doubt for him." Surman has featured in 18 ​Premier League games this season and most have been with the captain's armband following Francis' injury and some solid performances. With the captain and vice-captain sidelined, this leaves a dilemma for Howe at who will take over captain duties for ​Bournemouth's last seven games. Defender ​Steve Cook is the usual third choice and Charlie Daniels was given the responsibility last time out but the pair haven't been as regular as they once were in the starting team. But Howe might have some positive news on the horizon regarding Francis, who is passing all the fitness tests whilst with the squad on warm weather training in Dubai during the international period. This is a glimmer of hope for the Cherries' bleak injury situation at the moment and they will be hoping no more key men are lost to long term injuries during the international break.